As a child I wanted to be something awesome for Halloween. I knew if I had the right costume, people would like me. I thought I wanted to be Sleeping Beauty, but a girl at school was. She finally got her kiss and so much more nine months later. So I dressed up as Squiggy from Laverne and Shirley. The precise opposite of a princess, which didn’t win any popularity contests, as dressing up like a boy is never a good look for me. 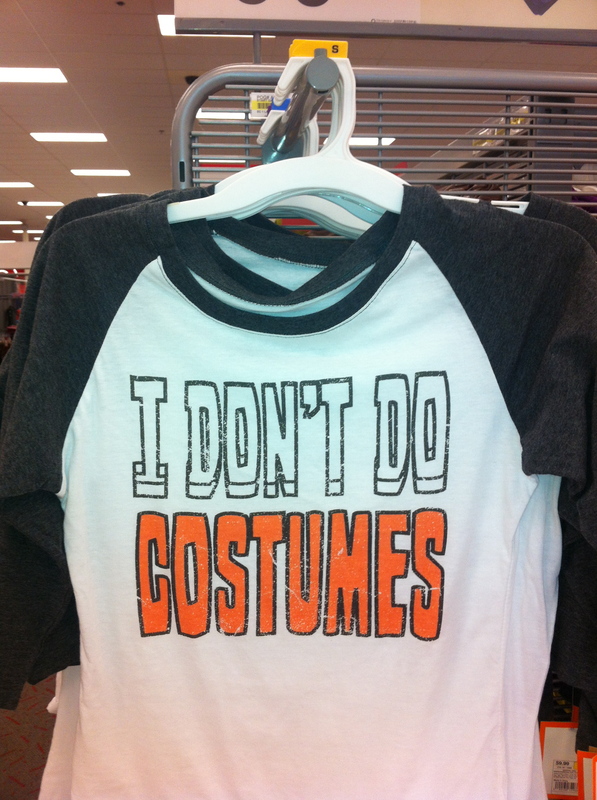 I quit costumes the next time October 31 rolled around. It probably didn’t help that I got the Mumps that year; there was no trick-or-treating for me anyway. That didn’t stop me however from constructing a mask, which I wore 24/7. I didn’t want the world to know that underneath my cool exterior, I was an abandoned daughter looking for daddy in every man I knew, and even in some I didn’t. Many moons and Halloweens later, I hit rock bottom face first and shattered my mask. I floundered for awhile trying to figure out who I was and battling the desire to stay hidden. God won the war and I gave up masks and costumes for good. I don’t begrudge anyone, good, clean October 31 fun. And I love seeing the brilliant use of imagination in every costume. But when you come to my door, you’ll get the real deal; scary or not. Hope you had a great Oct. 31! Thank you! Or sometimes God gets ahold of you and removes them and that is not fun, but oh so needed for healing! I’ve always respected your authenticity too Floyd, I’ve learned so much from you. Grateful for your friendship and encouragement. Love this! Beautifully said, as always. I really felt a connection to your post…thought-provoking as well transparent. Thanks for sharing! Thanks for stopping over JoAnne, appreciate your encouragement!